Planned for March 2018, we are releasing several key updates to the Interfolio interface for all users. These updates bring improvements across the board and represent a new way of thinking about the value of faculty technology. Together, they mark the first appearance of a more unified and valuable Interfolio. If you are an Interfolio, Institutional Administrator for a client institution, you have access to an alpha environment to see these changes. See our post with the credentials within the Interfolio Client Community, or reach out to help@interfolio.com for help accessing the alpha environment. 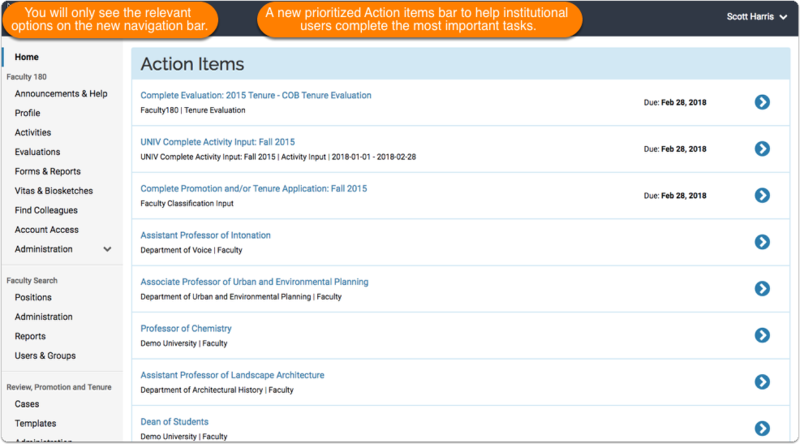 Interfolio contains a variety of modules for different distinct needs related to the work, data, and decisions involved in academic careers. Regardless which module you use, the Interfolio updates planned for March 2018 will be noticeable to every Interfolio user who is already familiar with the platform. Under each heading below, click on the relevant product to learn more about the changes on the horizon. 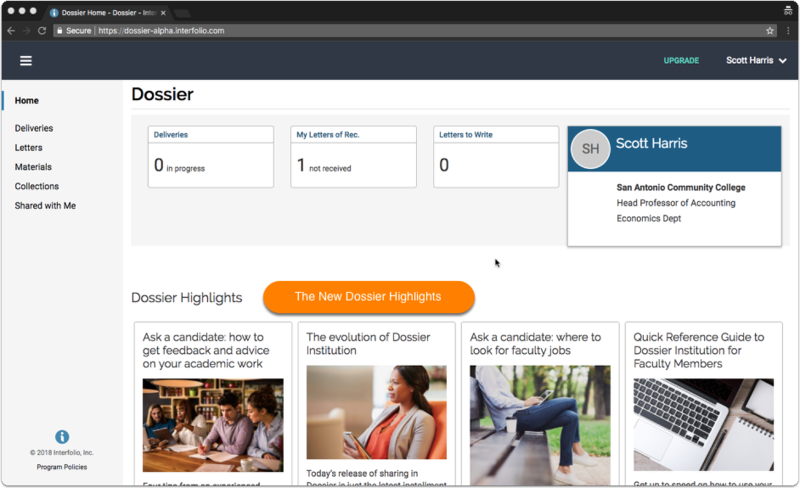 To get oriented in the new Dossier or Dossier Deliver experience, please see this summary article. To get oriented in the new Review, Promotion, and Tenure experience, please see this summary article. To get oriented in the new Faculty180 experience, please see this summary article.